Recently several of my bloggy friends were celebrating their blogging anniversaries, which made me curious to find out how long I have been blogging. I remembered that it was approximately two years, but wasn't for sure. Turns out my first blog post was in June 11, 2012. Well, we need to celebrate. But first let's talk blogging - the good, the bad and the ugly. :) I thought it would be fun to go down the memory lane and revisit a few things. If you are not interested in reliving the memories with me, scroll down to the Giveaway. It's awesome. So let's start. Click on the picture if you want to see the original post. Funny enough, it's a post where I am the main subject, not one of my kids. I am also wearing the dress as I type this. The promised circular insert tutorial will be coming soon. Ahem. The outfit was created for the "What Would Celina Do" series. The shirt is probably one of my most favorite things I've made. 5. The dress that I loved, but nobody else did. It's interesting to look at the old posts. I remembered when I first started blogging, I was so naïve. I thought that I would get the big following, make a ton of new friends and ultimately make money blogging. Ha! I was humbled along the way. :) I realized that it takes time, patience and persistence to grow. Big bloggers also work hard, very hard. My other discovery was that you don't get that much money for the amount of work and effort you pour into the blog. Ultimately, blogging became a hobby. Many times I was ready to abandon it for good, but then I did make a few good friends blogging. (You know who you are)I "met" and got to know the most fascinating people who shared similar passions and interests. I learned a lot. So many of my bloggy buddies shared their incredible knowledge and expertise with me. I am very grateful for that. I also became a pattern designer. I am working on my second pattern now, and I love it. Ok, Enough with the sentimental mush, let's get to the giveaway. I have three different prize packages. Three winners will be chosen randomly. The giveaways closes in five days. 1. 11/2 yards of pink/green fabric, 1yard of yellow fabric (prewashed), 1/2 yard floral fabric from Kid Approved. All fabric is 100% cotton. Good luck! Use the Rafflecopter to enter. Thank you! no way, i'm the first to comment :-) never happened to me before, haha. I would love to see some more adult sewing on this blog. I read a lot of blogs, and i find that the more i read on sewing for adults, the more courage i muster to try and do that, sewing for me! I sew a lot for my kids, but don't do that for myself. congrats on the anniversy by the way, and great prices! Congratulations on your anniversary! Blogging can be such an adventure and I love meeting all those interesting people online that you otherwise probably never would have met. I wish you many more wonderful years of blogging! Tutorials are always great! Thanks for the giveaway and congrats on your anniversary! My boys would love shorts like those....but with cars! Boy clothes tutorials are always great......or just inspiration photos. I sew the same pair of pants over and over and would like to branch out. I just love seeing you do what you love! I would love to see more sewing for Olga :-) And I love how you made this post btw....with the most and least popular blog posts....always fun and interesting to see. Congrats on the anniversary my friend! I would love to see the inset tutorial. That is so cool! Congratulations on your anniversary! 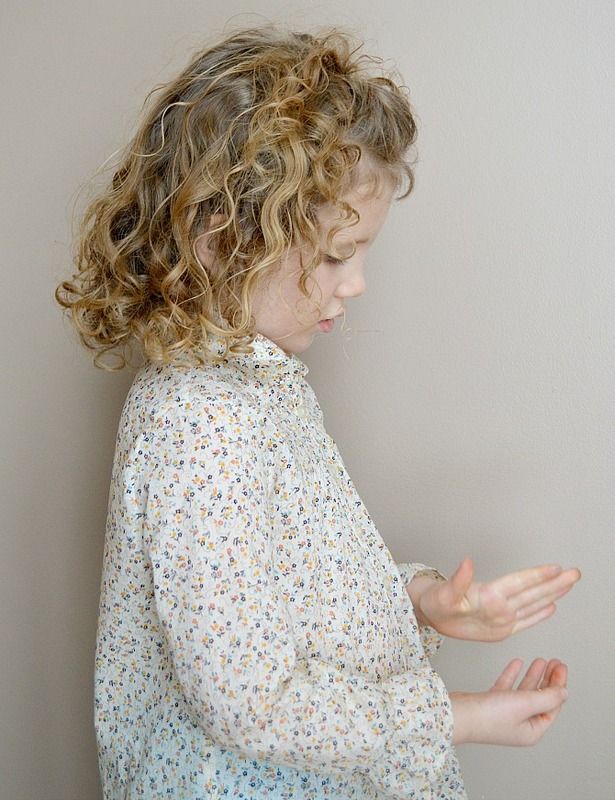 I love seeing your kids clothing..they do not have to be tutorials, just seeing the beautiful mix of patterns and your fabric choice is a great inspiration! 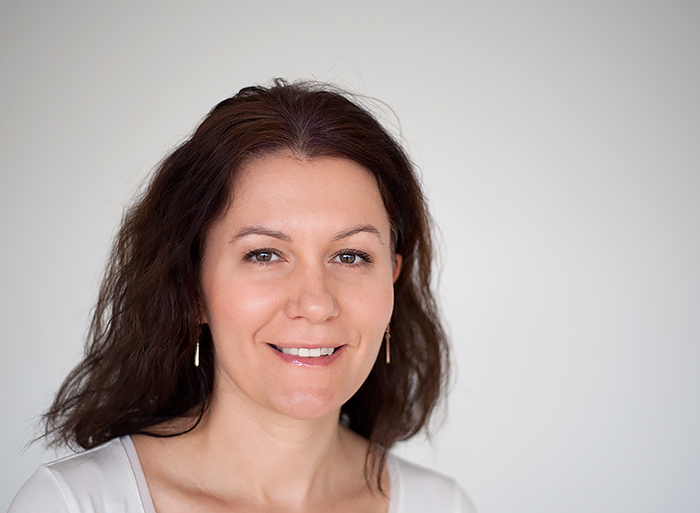 Happy Anniversary Olga! I agree with you, blogging isn't about the money it's about learning and growing from other people with the same interests. P.S. I love the linen dress you made - should have commented earlier! Everything is great! Thanks for the giveaway! Happy Anniversary Olga!! Great post!! :) Wishing you many more blogversaries to come!! Happy Anniversary! Fun to see the changes in the blog. Keep up the good work! 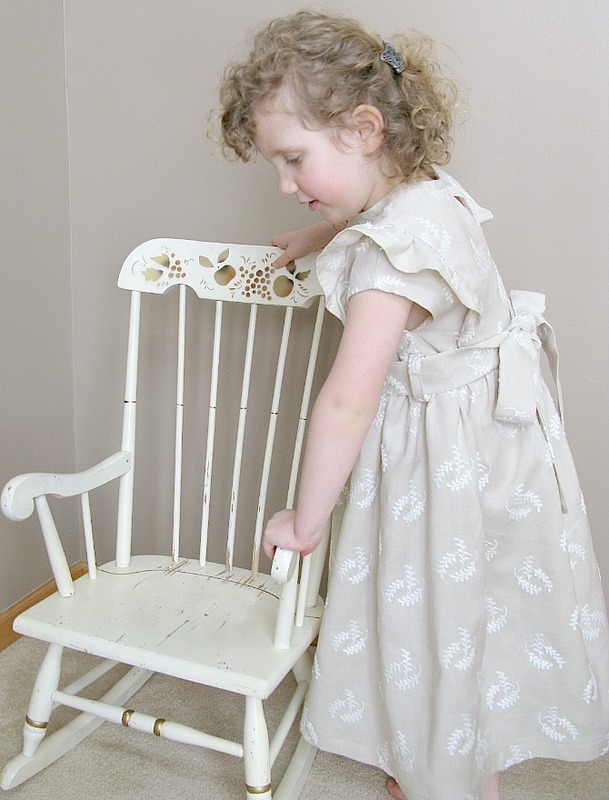 I loved your daughter's dress from the Dutch pattern book! I would love to see more clothing with that aesthetic :) And congratulations on two years of blogging!!! I love your creations so I hope you keep on blogging for many more years. Thank you for the awesome giveaway! I am so glad to be part of it! I'd like to see more tutorials for adult clothes ! Congratulations on 2 years! I agree that blogging is not quite what I thought it would be originally, but fun! Happy blogiversary! I'd love to see more of whatever makes you happy. Also love that linen dress! Happy Blogiversary! I love tutorials for quick easy projects. 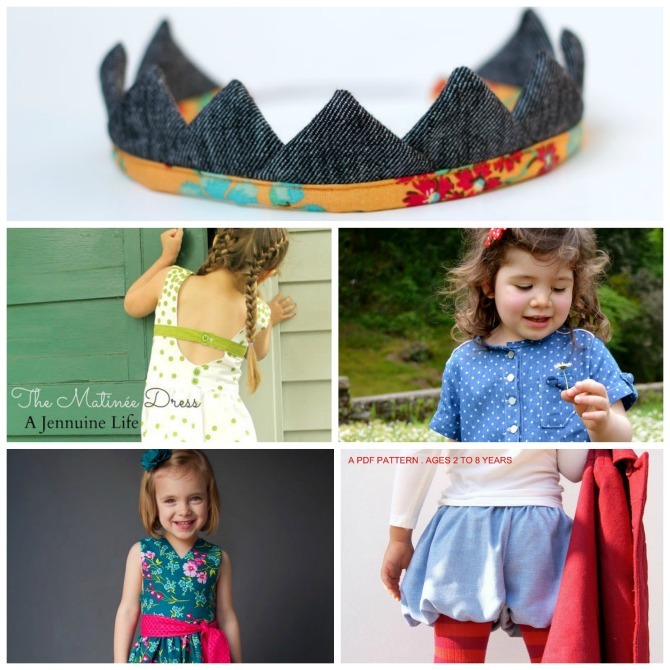 Up cycling kids clothing is cool too! I am new to your blog, but I love what I seeing! I love quick tutorials, but also seeing pattern testing as well! Can't wait to browse and see more of what you do! Happy Blogiversary! I just love seeing sewing projects for kids and adults! I love your roundup of blogs from the last two years. Very inspiring as I'm just about to set up my own blog/pattern shop. I love looking at all of the clothes and colors! I'm new to everything sewing so I haven't tried clothing yet, I've been a little scared to, but your blog gives me so much inspiration and I think I'm losing some of the fear! Thanks so much! I'd love to see more tutorials! I especially like "A Skirt with a Twist" and will be bookmarking for later. This my first time here and im Loving everything I see so far. I love your kids projects! I just found your blog. That dress at the top of the post is gorgeous! More innovative cut outs like that is what I would like to learn more about. :) Thank you for the giveaway. Nice blog! New follower checking things out. New follower so not sure what to see more of yet. Love kids clothes, tween and mom clothes. Upcycles also! I love to see anything new that's sewn..tutorial, your creations....they give inspiration! Congratulations on your blog anniversary!!! Have fun! Wishing you many more years ahead! Love tutorials and inspiration! Thanks for the awesome giveaway & happy blog-a-versary!! Happy blogiversary! I too find it interesting to look back and see what I loved, but no one else seemed to! Just discovered your blog via An, awesome! I`ll definately become a constant reader :) Happy Blogversary! Happy anniversary! I had fun looking at your old pictures! Happy Anniversary! I love tutorials that are unique. I'm new here; excited to look around! I love love LOVE the dress that no one seemed to like! :) The embroidered linen you used is beautiful!! (I have to confess that everytime I come to your blog I take a few time just to look to your banner because of that dress! instead of jumping right to the post... ha!) I would like to see more sewing either for your kids (for the boys, maybe?) and for you, and some sewing techniques/tips posts. I have to look around first as today is my first visit but I'm definitely sticking around! I love that dress, I'm very surprised nobody commented.. I would love to see a tutorial on your black and white dress. It's awesome! I also like your linen one. Happy Blogiversary. I'd love more tutorials. And can't wait to see the new pattern. I really enjoy the tutorials!! I think the linen dress is lovely! I love the linen dress too! Love what you make and what you share. Keep it up! Happy blog anniversary. Thanks for the fun giveaway! We are celebrating 1 year this month! Happy anniversary to you! 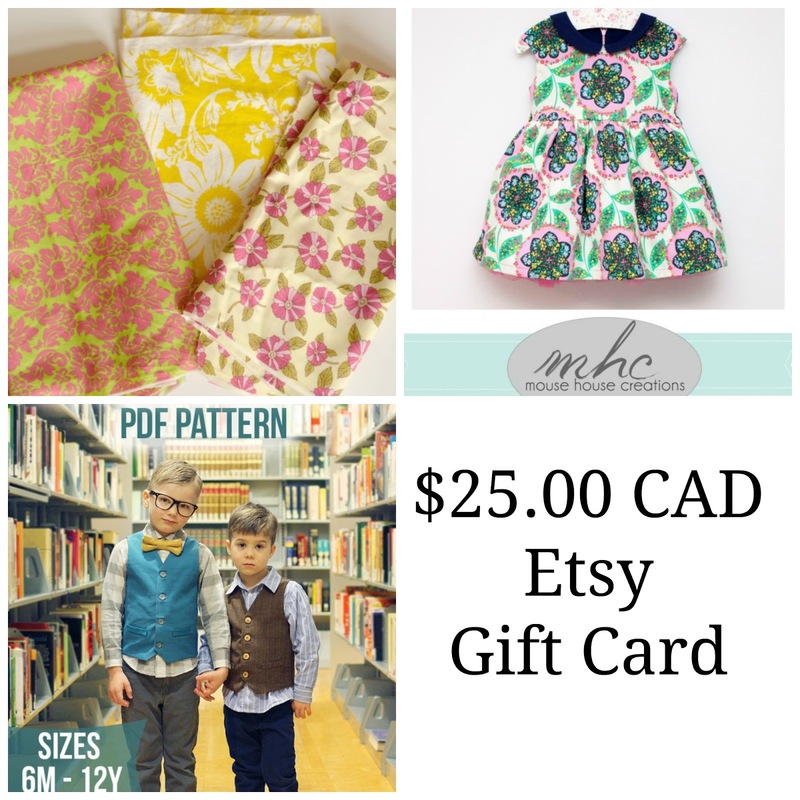 What a wonderful giveaway, I always just love seeing more gorgeous clothes sewing! I love how you did your anniversary! Fun! I've never done a blog-iversary. Haha! The dino shorts you made... I've made my son cargo pants with them! I think I even called the print dino- vomit! Happy blogiversary. I've got to tell you I adore the linen dress...I'm a new follower but would have commented for sure on that! The fabric is gorgeous. I think you've got the mix just right...so just keep doing what you love, I'd say. I just found your blog but I love the dead you made worth the cutout. Gorgeous! Um..I LOVE the dinosaur shorts. No wonder they are well loved. I am obsessed with that Mingo & Grace dress!! The dress that only got two comments looks so darling. It's funny to look back on your old posts and statistics. We all keep learning as we go. Just never stop being true to yourself. I love to see posts on sewing for yourself! Sewing for grownups :) That circle dress is awesome! Happy Anniversary! 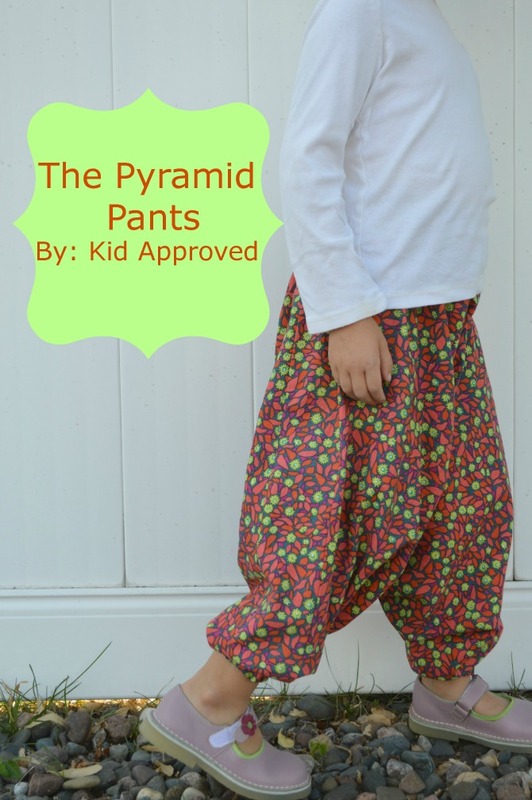 I love finding interesting sewing tutorials -- the pyramid pants look intriguing! The inset tutorial would be awesome! I mean seriously, how did you do that?? I wanna know! Happy blog anniversary! I love these best-of posts. Happy Anniversary! Love your blog!! Congrats on your anniversary! I love all those pieces, and have had so many great cinema on the star pocket shorts I made from your tutorial. I like blogs with tutorials for things that are a bit beyond basic. Nothing couture, just nothing you could google easily. 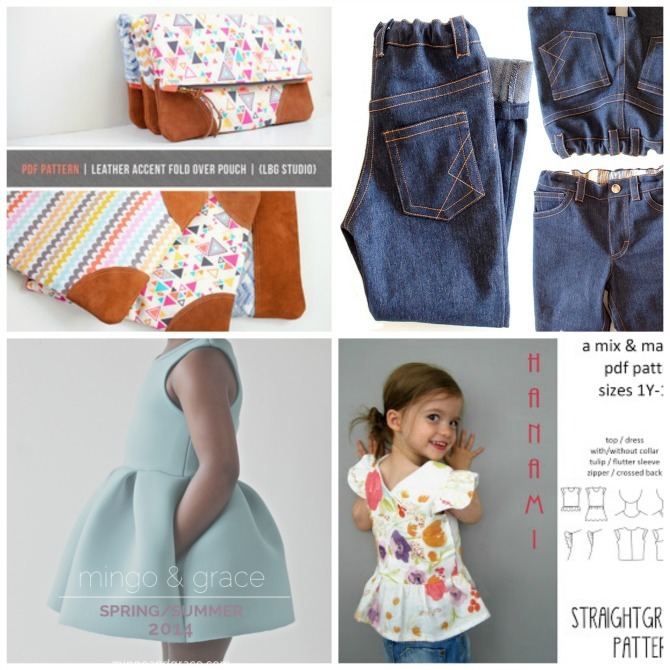 I enjoy sewing tutorials and learning about new great patterns for the kids...and I'm glad I found your blog! lucky day for me, I found your blog! I really like the linen dress. I love these looking back posts. It's amazing the posts that do well and the ones that don't. Sometimes there's no rhyme or reason. Congrats on your anniversary!! Congratulations on your anniversary! Thanks or the giveaway!